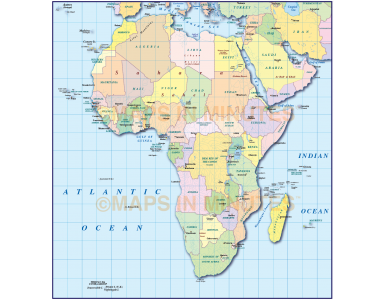 Africa vector map Illustrator AI format, Political simple detail with drop shadow. Royalty Free. Digital vector Political Country Map of the African continent @10m scale. Available in Illustrator (for use with CS1 to CS6 and later) and also in layered editable PDF format. 100% editable including font text. For use from A4 to A2+. 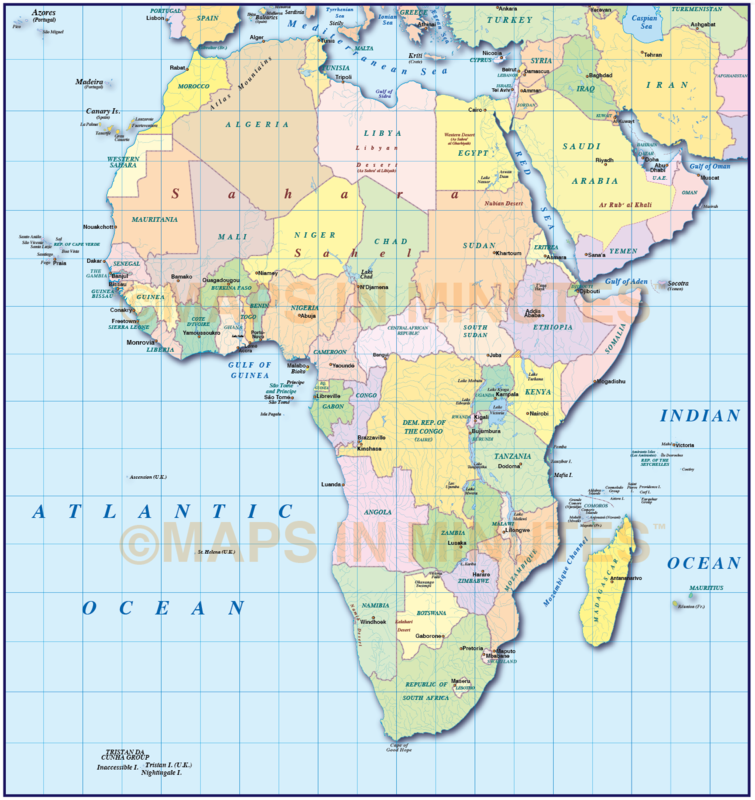 Fully editable large scale Africa map in a choice of formats. Authors notes: This map is updated for 2018. Suitable for use from A4 to A3+ size. If you would prefer to purchase a set of Regions or World maps please visit our World Maps Collections category.